Having travelled from Ireland to purchase an Audi A6 from lane Pearson, I was collected from the airport by a sales team member in the car, Where I drove it back to the office, it was exactly as described and very well presented, The whole experience was first class, I would definitely recommend this dealership and will use again. Called in to look at the cars and Volkswagen vans they had for sale. They were very helpful and knowledgeable about the vehicles they had there and offered to find a vehicle for me if I couldn’t see what I wanted there. They were able to offer finance packages as well and we discussed the options which suited me best. Myself, family and friends have bought multiple cars from Andy at Lane Pearson for well over 20 years, his customer service has always been fantastic and consistent throughout. When I recently dented my lovely car a couple of weeks ago, a car I’d bought from Andy a few years ago, his instant support and personal introduction to an amazing body shop confirmed once again his genuine commitment to adding real value. Rare in this day and age. Thank you Andy. Lane Pearson is a great automotive company whether you are selling or buying they are very easy and flexible to work with. They allowed me to find a new car before I handed my car over to them and the transaction was quick, easy and hassle free. Bought a car from Andy last month and am very happy with my purchase. The customer service was great. He is easy to get in touch with. And the car is in excellent condition. Never thought I’d say this about buying a vehicle, buy Andy and the team made this a genuinely pleasant experience. There’s no hard-sell or pressure, just a genuine interest in making sure you leave as a happy customer. They gave great advice on paperwork and legal requirements and were patient and personal. Highly Recommend Lane Pearson for car purchasing without the hassle. The most helpful and genuine car dealership I have come across in years. A pleasure to deal with and 3 months on still as happy as the day I bought my Fiat 124 Spyder from them. I look forward to my next dealings with them. In November 2017 we approached Andy Lane as we were potentially looking for a new car for our business. We had just offered a position to a new member of the team, and the role she was to fulfil would have meant significant travel. 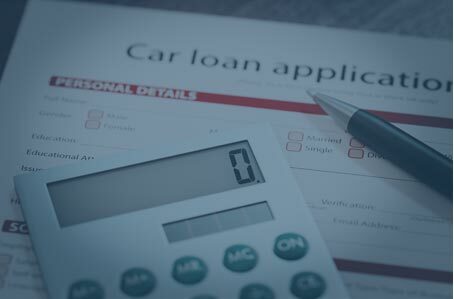 However, as a small business we were conscious of additional costs to the business – taking on a new member of staff, who wouldn’t generate income for the business for a few months, and the cost to lease a car, was daunting. In addition, we didn’t want to commit to a car lease for 3 years, if this new employee didn’t work out. We spoke to Andy about our situation, concerns and what we could possibly be looking for. We were surprised, and delighted, to hear that he could offer a lease car for just 6 months, at a very reasonable price. It wasn’t a difficult decision. 2 weeks later we were picking up a 67 plate Polo GTi. The whole process with Andy at Lane Pearson was the smoothest, most efficient either of us have ever experienced before in leasing a car. Andy offers impeccable customer service, he is far from your typical “car salesman”, and is a true professional; passionate not just about finding the right car at the right price but about the incredible aftercare service he provides. We have no hesitation in recommending Lane Pearson to any of our business contacts, friends and family. From my first contact by phone with Andy (the MD at Lane Pearson) to shaking his hand on the conclusion of the sale of my Polo, it was nothing but a smooth, hassle free experience. After agreeing a price, subject to inspection, all that remained was to deliver the car and deal with the admin of the transaction. On inspection there was no going back on the price offered and the money was in my bank account before I finished my coffee. The whole process was courteously, efficiently and professionally handled by Andy. When the time comes to sell my new car I will definitely be back in touch with Lane Pearson. They have restored my confidence in the motor trade. Thanks Andy. I had forgotten what true service was from a car dealer. Lane Pearson had the car the service and start to end we’re a pleasure to deal with. I look forward to dealing with them in future years. After spending six months in my Audi Q3, there were a number of changes I needed to make being a new business owner. Andy had always insisted that I run the car for 6 months and if it is not 100% right for me (the customer) then he would go out of his way to facilitate the change into the correct vehicle for me. I called Andy and explained that I needed a better MPG, as my annual mileage would increase from 18k to 25k, I also wanted a manual gearbox back and something that looked smart but was fun to drive. Oh and that I did not want to pay any more than I was already paying! Andy talked me through a number of options and we settled on a 17 VW Golf R-Line 2.0 diesel with an increased MPG of 20 miles per gallon. Just a short line to recognise the good work by yourselves during the purchase of Mrs Corney’s and the dogs new car. Running a service orientated electrical business, I can’t fail to be impressed when we receive comparable treatment. Sad as I am to lose our much loved Cabriolet, practicality demanded a canine friendly hatchback. From the initial conversation, arranging finance, part exchanging the A5, through to deliver, the process has been effortless. This is the fourth vehicle supplied by you in the past two years and when we are ready for the fifth, we’ll look no further than Lane Pearson Automotive. I recently bought a nearly new Kia Niro from this company and it was a very easy and straight forward experience. They made a no-quibble offer for my part-exchange vehicle and they sorted out all the paperwork, tax, registration etc, for me. They were helpful throughout the very quick process and I would certainly contact them to source my next car. Excellent experience buying my BMW through Andy and his team at lane Pearson, first class service with no hassle. Amazing customer service and excellent knowledge, had a small issue with the car and it was dealt with immediately. I highly recommend Lane Pearson to anyone and will be turning to them when I’m looking for another car in the future. We have now purchased 6 vehicles from Lane Pearson. Each and every time the experience is first class and hassle free. Their customer focus is second to none, and aftersales is exceptional. We have recommended them to family, friends and customers alike, who have also had the same experience. For us the main factor is they actually care about the vehicle they are selling you, which is a rare thing in this trade in our experience. We have bought many cars over the years with mixed feelings, leaving us confused, uncertain and unhappy. However, we’re more than happy to say that to buy a car from Lane Pearson has been one of the most pleasant experiences we have had. It doesn’t happen too often that you have 100% trust with a car dealer when you buy a car. Lane Pearson has proven that you are in safe hands no matter your knowledge about cars and that you’ll get what you expect and more. 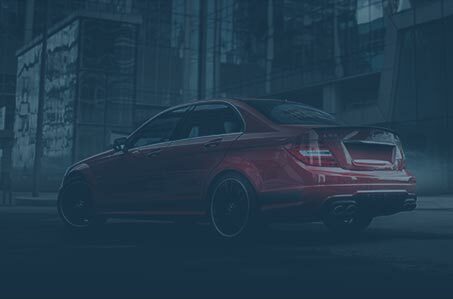 They are also one of few that will make sure that your car is in the condition it has been marketed as and if it would be anything wrong with the car. Then they would rectify it until you are happy without any additional costs. One thing we liked very much was that they back up their statements and doings with real facts, so it won’t leave you puzzled whether it’s true or not. We highly recommend buying your cars with Lane Pearson! We will come back to buy our future cars if an opportunity arises. Top service and experience from start to end. 5* Very efficient and friendly service. Most helpful and efficient service in locating a used Toyota Yaris Hybrid in good condition within my price range. Agreed trade in of my existing vehicle and all the necessary administration completed. Hassle and worry free! I went to see Andy, strongly recommended by a friend and from the beginning, felt confident and positive about his knowledge and willingness to find my ideal car. I told him what I wanted and in a matter of four days he found the perfect car for me, matching my requirements. Great car that I am driving now, thanks to Andy and his team. Definitely will keep this relationship going in the future years. Just a short line to recognise the good work by yourselves during the purchase of our new van. From the initial conversation, arranging finance, to delivery, the process has been effortless. The bonus of a loan van from day one ensured our operation was uninterrupted and service maintained. This is the third van supplied by you in eighteen months and when we’re ready for the fourth, we’ll look no further than Lane Pearson Automotive. Right from my first call about my interest in the car, I was dealt with excellently. Very efficient service right through. Had everything arranged prior to viewing. Got there, test drove and was away in less than an hour. Can’t recommend this company enough. Excellent service and customer care. Just a note to say thanks for your assistance and to let you know we were very happy with the level of service and attention throughout the sale process. Andy made the process of selling my BMW painless and pleasurable, with minimum fuss and time taken, and an offer which made sense for both of us. I would not hesitate to contact him again should I need to sell a car, and also if I was in the market for a second-hand car. I would like to say a huge thank you to Ray and all the guys at Lane Pearson for everything they did to make my part exchange a really smooth, enjoyable experience. I have bought and sold a fair few cars over the years and this has easily been the simplest and easiest of all of them. From the start when I was talking to Ray on the phone about possibly part exchanging my Discovery for a Range Rover Sport they had for sale, the whole process was a breeze. I was very happy with the price of the deal, but the service was even better. I live in Kent and was staying in a hotel in Somerset for a couple of nights around the time we did the deal. Ray drove the car to the hotel where I was staying, over an hour away, for me to see it before we then made the trade a week later. This was above and beyond the call of duty and very much appreciated. Thank you to everyone at Lane Pearson. Next time I’m looking to change my car I’ll definitely be getting in touch! Just like to say a big thank you to you & Mike Walcot for the work you put in to selling my 2016 BMW M4 COMP. As you know Andy this is the second time I have used Lane Pearson to sell a car on my behalf, both times I have been extremely impressed by the service received from you & your team. The service I received from Andy Lane and his team at Lane Pearson has been excellent. I couldn’t fault it. Andy was quick to understand our situation and the kind of vehicle we were looking for. He was able to find just the right vehicle for us at a very good discount and provided a courtesy car for us to use whilst our car was picked up and towbar fitted. I would certainly use their services again and recommend them without hesitation. I would like to express my sincere thanks for the fantastic service you have provided me when sourcing a car for my family. By my own admission my wife and I weren’t the easiest of customers, we kept changing our minds between hiring or buying. However with your knowledge, experience and plenty of patience you managed to source a great hire deal on a car we really like. Most importantly it is an affordable deal that fits in with our future plans on car ownership, where you helped me to realise that with a sensible strategy I could work towards owning a car I have always dreamed of owning. It is apparent that your passion for cars helps people to as you say, not just to dream, but to drive the cars they really want to. I will be recommending Lane Pearson to everyone, and I’m looking forward to using then again and again in the future. I just wanted to write this testimonial to thank you and Mike Walcot for helping me with the purchase of my new used vehicle recently. To say that the process of buying a used car is a bit daunting, is perhaps a bit of an understatement. For someone like me, who has ‘less than zero’ knowledge about cars, it’s even more challenging. I was very happy therefore, that I had kept Mike Walcot’s business card from years earlier, when we were both at BNI Bradman. A simple telephone call from me to Mike and he was on the case right away, calling me a few days later with several options that met the buying specification I had provided him. I was not however, going to make it easy for him and just to see how good he was, I decided to raise the bar a bit, by asking for a higher specification at a lower price. I should have known, but this was not a problem for Mike at all and he came back to me a few days later with the details of a BMW 3 series that ticked all the boxes, located in Blackburn. A few more days later and Mike brought down the car from Blackburn (having thoroughly checked it on-site, before taking delivery), had it valeted and MOT’d, ready for me to pick-up. I have owned the car for 3 months now and it’s been a joy to drive. 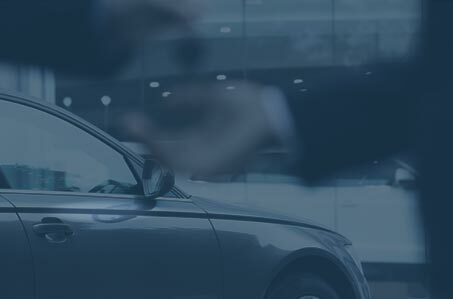 I am confident that I will get many years of trouble free motoring with this car, but if I do encounter the unexpected problem or two, I am reassured in the knowledge that Lane Pearson will be there to provide me with best After Sales Care possible. I have no hesitation in recommending your company to anyone looking to purchase a new or used vehicle in future. When I was looking to trade in my C63 for a Golf R, I contacted Lane Pearson having seen they had a Golf R for sale via Autotrader. After an initial email enquiry, I received a friendly response from Mike in their office citing an interest in doing a part exchange. We followed up with a call and I immediately felt at ease both being petrol-heads we had loads to chat about. We arranged to meet up and on the day we conducted the business professionally and successfully and I’m very pleased with the Golf. Both Mike and Andy at the office are top chaps with lots of experience and knowledge on cars and I warmed to them immensely. I would do business with them again when the time and need arises.